This was an early Monogram kit and featured the fuselage split horizontally. I sanded off all the panel lines and drew them back in with pencil. I wanted to see if I could use the low-vis scheme and still make an interesting scheme. I saw a picture of this aircraft in one of my reference books. I painted the weapons in inert blue to get addition color on the model. I scratch-built the boarding ladder and FOD covers. 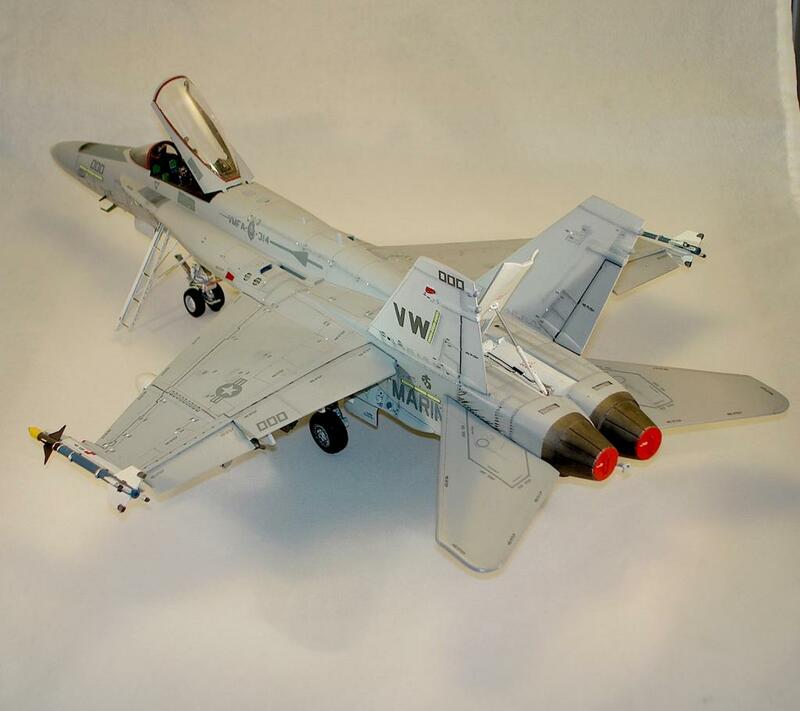 Nice work, Jack….looks very labor-intensive, what with all the stenciling, panel lines, subtle weathering, etc. Excellent rendering. You’re right it was tedious, and you need some good drawings to go by. 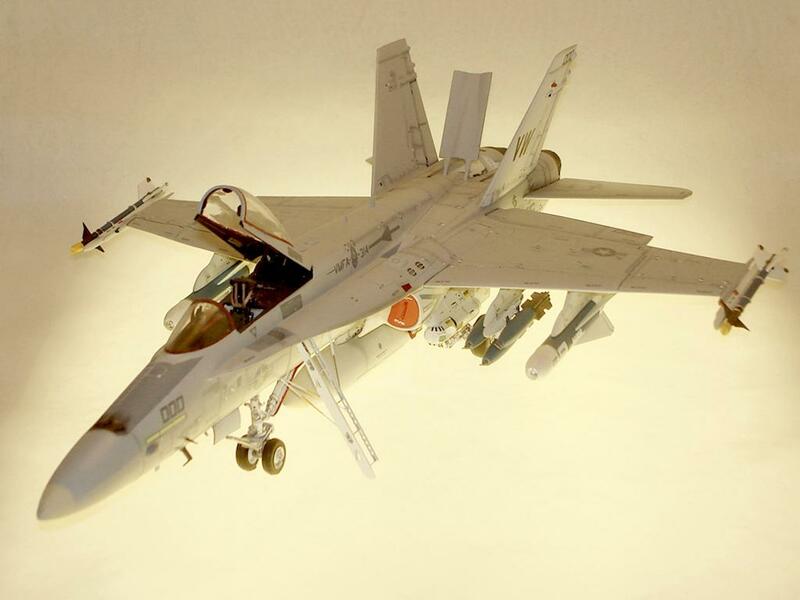 I seem to remember this one from a FineScale Modeler article, was this the one? Yes it is. I never entered it in competition but was very happy about the cover of Fine Scale. Thanks for remembering. 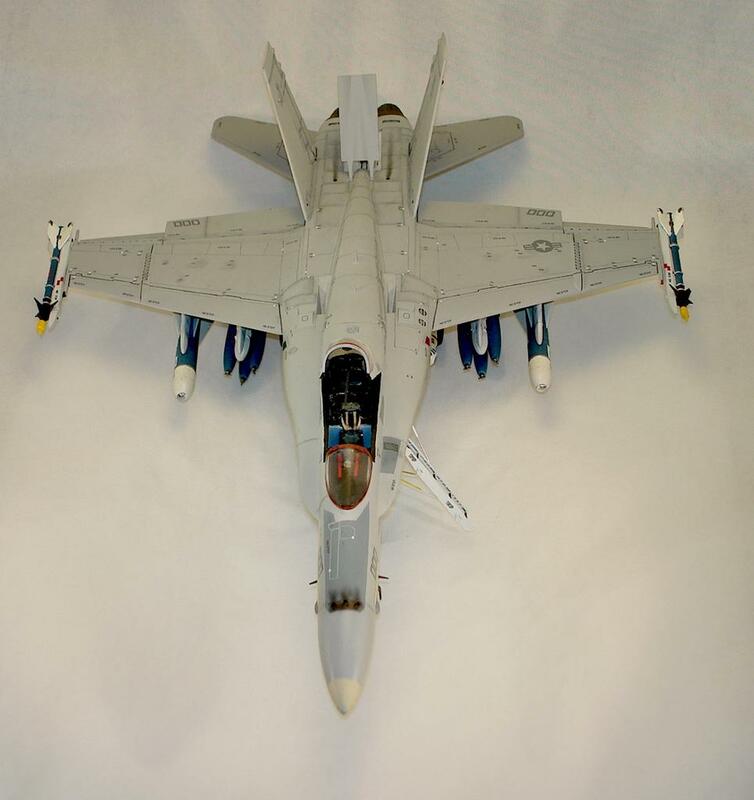 yep I remember it from finescale too- inspired me to do a 1/72 early NSAWC F-18A with Blue “inert” weps- I will try and post that later tonight!